We, the Nominating Committee, have been hard at work planning for the election, where YOU will select the first full board of the NYC REIC. What is this all about? Read more here. There is still room on the ballot! Don’t be shy, this is a great opportunity to put your hopes and dreams into shape, and to take control of our own common destiny here in New York City. Who are committed to working for the sustainable development of the communities of which they are a part! Does any of this sound like you or someone you know? Find out how to add yourself to the ballot: http://nycreic.com/nominations/ or contact the Nominating Committee at nominations@nycreic.com or (718) 316-6092 ext. 5. Thanks for all you do! From all of us on the Founding Board, we want to thank you all for your help in getting us to this point. As you know, the Founding Board is made up of members of the Steering Committee (SC) who were listed on our Certificate of Incorporation. The Board replaced the SC in order to comply with New York State laws governing not-for-profit corporations. While we still have work to do before we are ready for our first project, we have now completed the core mission of our mandate, as stated in the Steering Committee Charter. We have a formal Governing Body and have incorporated as a not-for-profit. We have a draft Criteria to help us vet and focus our efforts on the projects that most fit our goals and values. We have a sketch of a business plan and an investment finance model, ready to hand over to the First Board to take these plans from ideas to reality. And, as discussed further below, we are close to receiving permission from New York State to do all that we want to do. And we could not have done any of this without YOU! Please join us at the Fall All-Member Meeting and First Annual Election, taking place on November 12th (see info above!). We want to be able to thank you personally before we take our steps in this exciting new phase of the cooperative. 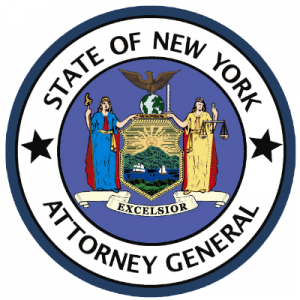 Many of you will recall that we announced last fall that we began getting our legal ducks in a row, working with the Lincoln Square Legal Services’ (LSLS) Community Economic Development Clinic of Fordham Law School as well as Stroock & Stroock & Lavan LLP, to “register” with the NYS Attorney General to fundraise for collective real estate investment through the LLC(s) we will incorporate (it’s actually more accurate to say we’re pre-approving our fundraising plans with them). Since then, we have followed our relationship attorney to Nixon Peabody LLP, and we are now represented by an excellent and talented team there. 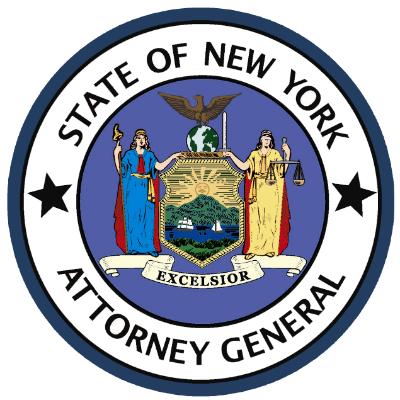 Nixon submitted the package to the NYS AG’s office describing our model, and how it fits within their regulatory framework, earlier this year! We recently heard back from the AG’s office, who told us they believe that the regulatory framework we felt we fit within was not a great fit, but rather than just telling us “no,” they went the extra mile to suggest to us a different, and potentially BETTER regulatory regime. We believe this shows what is possible when cooperatives and other social enterprises work effectively with the government and make a strong case that their business models will benefit communities (or, as the government sees us, “citizens,” i.e., taxpayers and voters). We are in the final phases of revising our package to re-submit to the AG’s office under this new regulatory regime (and we may have submitted the package by the time you read this). We are confident that, with this new package, we will be ready to hit the ground running on our fundraising plans by Spring 2018. Stay tuned for updates and more detail on the regulatory regime once we receive a final determination from the AG’s office! Sandy5 March: the Sandy5 march for climate action is coming up on Saturday, October 28th! We will be marching across the Brooklyn Bridge to demand our elected officials take action to protect us from the effects of climate change. It has been 5 years since Hurricane Sandy and extreme weather conditions and natural disasters have escalated since then. Read more about the march here: https://sandy5.org/. The Cooperative Economics Alliance of NYC (CEANYC), of which the REIC is a member, is organizing a cooperative contingent to march. Please join us! This will be a great community builder and a great way for us to live Cooperative Principles 6 & 7 (Cooperation Among Cooperatives and Concern for Community). We’ll also have the chance to meet and connect with some others working in cooperatives/the solidarity economy here in NYC, such as our community partners at the Central Brooklyn Food Co-op (whose Raina Kennedy developed this Sandy5 March blurb). Let us know if you’re coming and would like to march with the cooperative contingent! Contact us at steering@nycreic.com and by voicemail at (718) 316-6092 ext. 5. We have completed our 2-year incubation period! Make a tax-deductible donation to the NYC REIC, help us find and apply for suitable grants, or donate your pro-bono professional services in real estate, finance, accounting, web design, graphic design, development, facilitation, law, or something else.